Night sweats is extensive and excessive sweating at night due to a hormonal imbalance which adversely affect sleep patterns and quality of life. Night sweats are probably the most common and distressing problem that women face when going through menopause. They can last from a few seconds to several minutes and can be accompanied by heavy unabated sweating. When they happen at night (sweats) they can disturb sleep and cause serious fatigue and depression. Most women under-going the menopausal transition experience night sweats to some extent. For around 10% sweating is severe and debilitating. Climacteric transition between reproductive and non-reproductive state in women. Usually between the age of 45 - 55. Commonly worse at night and occur regardless of outside temperature. Vasomotor disturbances associated with profuse sweating of body, arms and legs. Symptoms usually resolve with the menopausal transition, however that transition may take years. Night Sweats are a side effect of Menopause. Menopause is the time when ovulation ceases and if there is no ovaluation there is NO progesterone production. 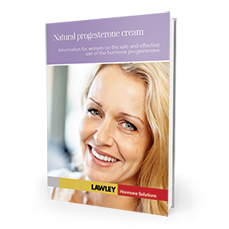 Estrogen without balancing the effects with natural progesterone increases the underlying hormonal imbalance. Tests: Suspect menopause. U. & S.FSH, S.estradiol, S.LH, Pap. smear, U.estrogens, B.HGG, S.DHEA-S, S. Test., cFTest, SHBG, S. Prog. Many women find that at the time of menopause, supplementing progesterone rather than estrogen improves the estrogen dominant symptoms. As well as providing relief from hot flashes and night sweats, it narrows the imbalance between the hormones. Progesterone provides a balance to the lack of naturally produced progesterone due to the cessation of ovulation at menopause.